A strong and durable Pergamon Marble patterned shower wall panel, an ideal alternative to tiles. Offering the beauty of a natural material within the practicality of a shower panel. Features delicate veining throughout, these designs have subtle details that add depth and a lustre to the gloss finish. 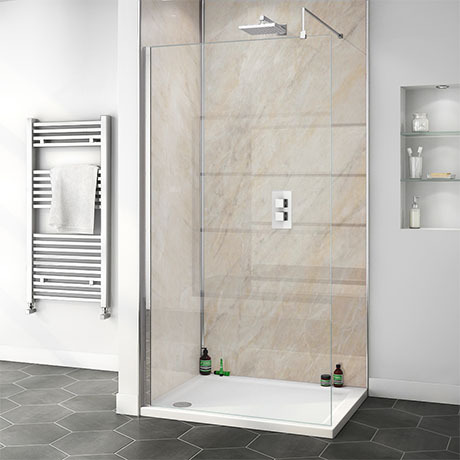 You can instantly create a shower area using just two panels, saving valuable time and money. Offers you a quick and easy cleaning experience, they are hygienic, totally waterproof and simple to fit.